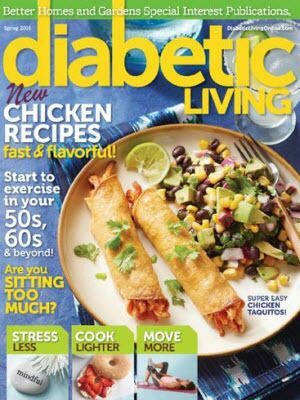 FREE 1-Year Diabetic Living Subscription! You are here: Home / FREEbies / FREE 1-Year Diabetic Living Subscription! Who’s up for a FREE magazine subscription?! Head over here to grab a FREE 1-Year Diabetic Living Magazine Subscription! This is a great resource for anyone who has diabetes! DIABETIC LIVING is a magazine for consumers and their families living with diabetes. The magazine addresses a variety of lifestyle and health concerns for readers of all ages. Each issue offers information about medical breakthroughs, health and nutrition, and food and cooking.